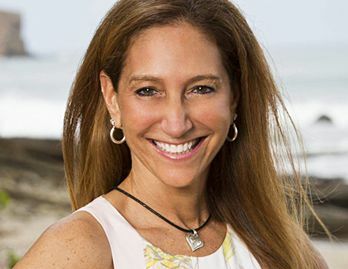 An executive at H&R Block, Carolyn tried out four times for Survivor before she was selected to be in the White Collar tribe last season. A big fan of Brighton Collectibles, Carolyn wore an Ophelia silver heart on a black leather necklace throughout her big adventure. 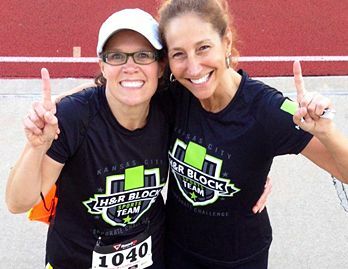 On the H&R Block team, Carolyn competed in the Kansas City Corporate Challenge last year. It is an Olympics-style event for businesses. Always up for a physical challenge, Carolyn enjoys riding bikes and hiking with her family. She recently added sky diving to her outdoor experiences. Carolyn and Joel first met in high school, when he was captain of the boys gymnastics team, and she tried out for it. They have been married for 29 years. Her entire family flies to LA for the exciting red carpet coverage and live finale. Afterward, they and the cast move to Pharaoh to continue the party. As Carolyn sings, her husband, Joel, takes in the moment, thinking back to when they first meet at Forrest Hills High School in Queens, New York. He first sees her with a friend’s sister, as the girls are walking in their neighborhood. Instead of a direct approach, he tries to bump into her by showing up at the same places at the same times, but she never notices him. Then one day, when he is at gymnastics practice, she walks in to talk to the coaches. The school doesn't have a girls' gymnastics team, so Carolyn and a girlfriend want to join the boys. Intrigued and a bit amused, the coaches agree to let them try out. As the 23 boys watch, Carolyn performs a series of acrobatic feats: back handsprings, back flips, flying aerials. Some of the boys can’t even do these stunts. The coaches are so impressed with her abilities, they allow her to join the team and compete at exhibitions. Joel, as team captain, finally gets to meet her. They start dating the year “I Will Survive“ comes out, when he is 17 and Carolyn is 15. 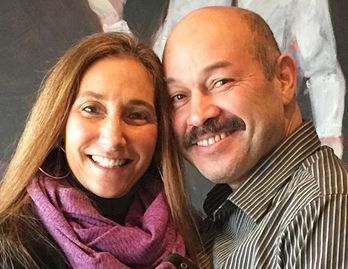 They have been together ever since, getting married in 1987, raising three kids and building careers as executives in financial services and human relations. Yet Joel always dreams of owning his own business. So in 2007, they cash out most of their retirement funds and savings to buy a gourmet deli business with five locations in Florida. After doing well initially, Joel says, they suffer severely during the 2008 recession. Corporate customers either go out of business or drastically cut back on their catering expenditures. While Joel leaves his job to run the delis, Carolyn holds onto her corporate position. She essentially works two full-time jobs, devoting every available minute to the deli business when she’s not at her day job. They try everything to succeed, yet ultimately have to admit defeat. 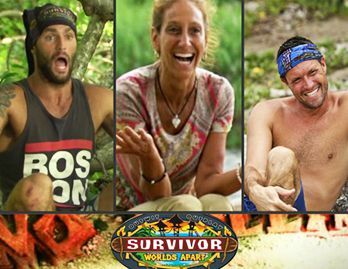 Carolyn explains her "positive outlook on life" during an episode of Survivor: Worlds Apart. In less than a year, Carolyn lands a better opportunity and relocates the family back to Florida. 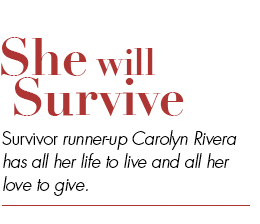 By facing a setback and recovering from it together, the Riveras grow closer as a couple and as a family. “It made our relationship stronger," says Joel. Back at Pharaoh, Carolyn’s three kids happily watch her sing. Gabrielle, 27, Danielle, 25, and Joel, 21, appreciate the rewards of their parents' relentless work ethic. Gabi also benefits from Carolyn’s positive outlook on life when she suffers an injury during her freshman year in college. Having inherited strong athletic skills from her mom, Gabi earns a starting position on her college soccer team. The Riveras regularly see her games in person or on TV. During one viewing party in 2006, they are watching with friends when they see Gabi fall on the field. The announcer immediately cuts to a commercial, so they have no idea how serious her injury is until their phone rings several minutes later. The team doctor informs them that Gabi has torn her ACL. She needs to have knee surgery and will be out for the rest of the season. Carolyn remembers that during the long rehab, Gabi would sometimes feel discouraged. She boosts her confidence with pep talks and keeps her focused on making the team as a starter again. Gabi works hard and returns to have a successful college career. During the show, she wears a silver heart pendant on a black leather necklace from Brighton Collectibles. No matter the situation, viewers can see her silver heart glinting in the sun or firelight. She also has a tattoo on her hip that is a replica of a Brighton heart design. These symbols reflect her determination to pursue her dreams with all her heart. “When you want something, you have to go after it," she says. “Don’t let anything stand in your way." She brings that fierce, winning attitude to H&R Block, where she oversees the training of all employees. Particularly now, after the Survivor experience, she comes across as more of a motivational speaker than a corporate executive. As she sings toward the end of her song, “I’ve got all my life to live. And all my love to give…” She wants everyone to have the same fire.